Everyone - and we mean everyone - has some excess junk laying around their property. No matter how much or how pervasive it may be in your everyday life, we can all afford to take the time to reduce the amount of clutter in and around our homes. Whether it's reorganizing, downsizing, or simply getting rid of things you haven't used in a while, it's never a bad idea to assess your property from time to time and clean up the mess whenever possible. Clutter has been recently cited as a stress factor for those who have items throughout their homes that aren't adding any value to their lives. For many, it can be a simple energy detractor, increasing the amount of time spent looking for lost or misplaced items. For others, it can be a determining factor that leads to weight gain, depression, and hoarding. In extreme instances, hoarding can lead to fire hazards and health complications due to mold or dust inhalation. People find enjoyment from decluttering because it can relieve stress, offer a sense of accomplishment and control, and frees up extra space in the house that wasn't previously present. For others, it's a good opportunity to look ahead to a potential move in the future and save the hassle of organization closer to the move itself. Clutter makes things more complex and visually distracting, increasing mental stress and keeping nagging subjects at the back of your mind. Stacks of bills, papers, and other junk that you've been procrastinating about won't leave your headspace if you're constantly walking by them or moving them around, which in turn will increase the amount of time you spend worrying about them. More distractions mean less time and attention toward projects you want to accomplish. Stacks of dirty clothes or dishes are just another reminder that you're behind on your chores and responsibilities, keeping you from focusing on larger, more important tasks. It's hard to relax when you're staring down unfinished projects or chores left undone. If you declutter and organize your home, you can experience a more peaceful, serene residence - and isn't that the point? Decluttering takes time, yes, but if you're constantly having to look for things, moving, or sorting out piles of stuff throughout your home, that can add up. Plus, more clutter requires more storage space, necessitating extra storage costs and driving up moving costs when it's time for a new place. Especially important when you're trying to sell your home, decluttering the space in and around your property will make a significant impact on the sale price - just ask any realtor. Less clutter means more space for fun and games. 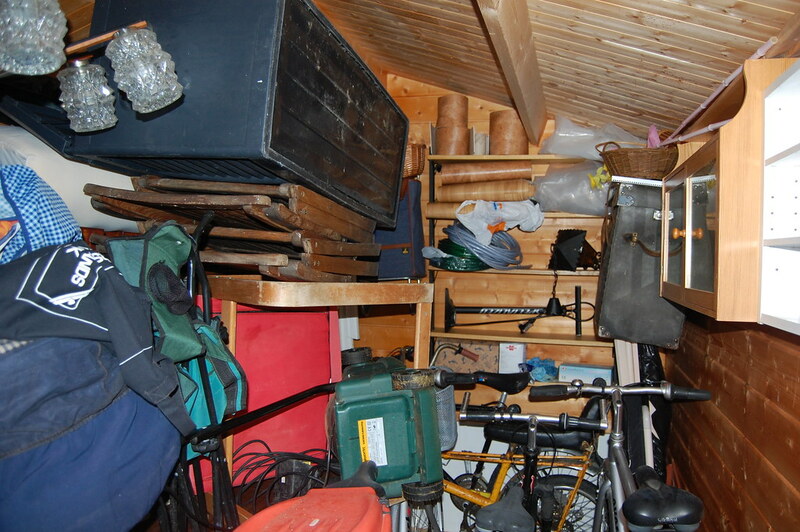 A good example of reclaiming a functional space from clutter is a garage. Most homeowners have so much stuff stored away in their garages that they don't have room for their vehicles. By reducing junk in storage or secondary rooms, you can expand their functionality and transform them for new and creative purposes. Starting with a single area can help jump-start the rest of your cleaning efforts. If your decluttering efforts feel monumental and impossible to conquer, it's probably because they are. Your mind has built subconscious barriers up and associated negative connotations with removing these items, as there's like an emotional attachment you may not even be aware of. There's a tried-and-true method of decluttering and reorganizing that you're probably already familiar with: the three pile method. Proven to have a marked impact on the way people sort their items, this method designates sections for items you want to keep, those you want to throw away, and items ready for donation. Performing this simple sorting task can be daunting, but if you're honest with yourself, you'll be able to assess large amounts of junk with this method. There's also a method for sorting clothing which was made famous by Oprah, which is to hang all of your clothes backward, turning them as you pick them out to wear each day. That way, once it comes time to reassess what you'd like to keep and what you want to get rid of, you can easily see which articles of clothing you've used recently and which ones haven't been in your rotation in a while. If your home is overly cluttered, or displaying clutter in every room, it's a good idea to start small. Focus on a single room, storage space, or piece of furniture to start. Instead of tackling an entire section, your focus should be on projects you can handle quickly. CDs, DVDs, or video games that out of their cases can be easily remedied without much of a time commitment and the act of completing such a task can provide a great feeling of achievement. Tackling large storage areas (like garages) not only reduces your clutter, but can reclaim lost areas for other activities and purposes. Once you accomplish your first major decluttering effort, you now have a viable process by which to move onto other areas of your home and apply the same methodology. Whether you choose to move from drawer to drawer or room to room, applying a "keep, toss, donate" mentality will help you quickly process and let go of items you may have held onto too long. Next, if you want to finally make a solid effort to declutter your entire home, there's always the "box and banish" method, which opts to drastically declutter your space by removing every non-essential item to storage and sorting it out later. This doesn't get rid of the clutter, necessarily, but the act of processing and rethinking the ways you use these items can help you experience life without them and revisit their usefulness when it comes time to sort and downsize. It may be difficult to maintain an organized home, but there are tips and strategies to keep your efforts from eroding back to chaos. Keeping your areas uncluttered is your next and final step. It's an ongoing process, especially for those who have struggled to keep their homes tidy and neat for many years. After time, living with these belongings becomes standard, which traps you in the expectation that you must continue with the status quo - no matter your best efforts. Some people find it beneficial to make and maintain a strict rule after decluttering to ensure the same conditions don't arise again. If you find it works for you, try removing two items for every one you bring into your home. Keeping a storage system for unwanted items or things you need to donate also helps to keep things organized when you're headed out the door. The less storage space you have, the less stuff you will have - or at least that's the approach in this scenario. While reducing your storage areas may prompt one to return to their old cluttered habits, it's also possible that limiting the amount of space you dedicate to storage will also help put a limitation on the amount of stuff you can introduce to your home. This is a key rule for declutterers: if you have an open, flat surface, it's important to keep it clear and free. It's far too easy to place unprocessed or unneeded items on a countertop, table, or desk for future action, but it's better to take account of these areas on a daily basis and ensure they're open at the end of each day. Otherwise, you may find your old habits returning without delay. 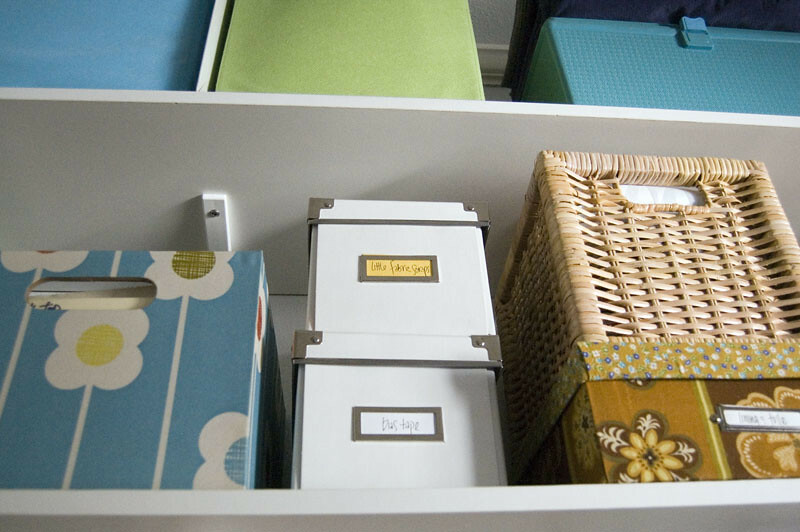 Part of improving your organizational skills is finding a place for everything you own and keeping it there. If you look around your home and find that objects are frequently being stored on flat surfaces, draped over chairs, or placed haphazardly, it might be because there's no designated spot for them. If that's true, then it's time to find one. This is largely up to you and your habits. If you find yourself needing to declutter more frequently, make it a monthly chore. If things improve and you only require periodic organizing, decluttering on a seasonal basis is a good step - just make sure it's on your calendar and considered an important event in your household. Much of living a decluttered, streamlined life is to change your behavior. Consider your buying habits: are you buying gadgets, clothing, or thrift store treasures every week (or more?) What about online shopping? If you're constantly having deliveries made to your house, consider curbing those behaviors to save money and keep your home in order. If stuff is piling up either inside your home or on your property, Happy Hauler can help. The leading junk removal provider in the Seattle area, Happy Hauler prides itself on responsible, eco-friendly service, making sure to haul your unwanted stuff to homeless shelters, charities, donation centers, and recycling facilities before a final trip to the landfill. For more information on decluttering your life, contact the team at Happy Hauler today.